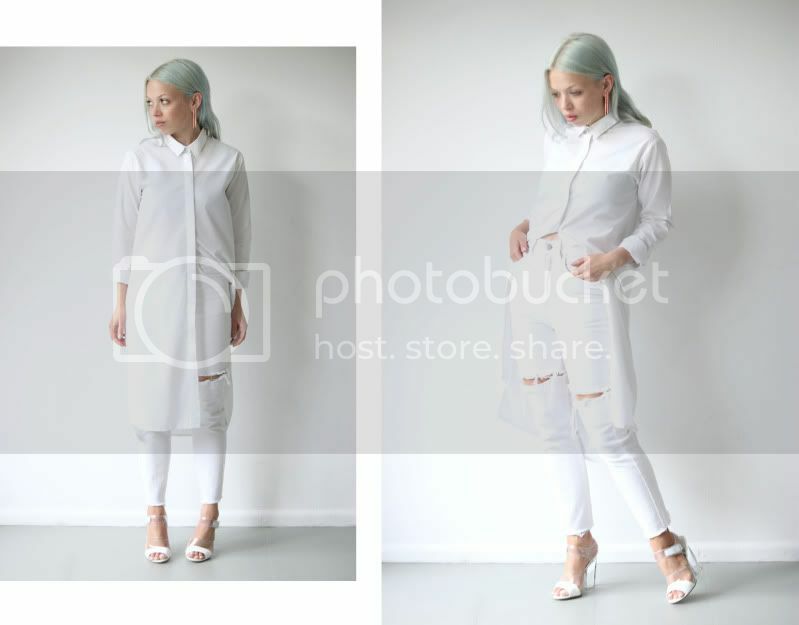 Wearing a white cotton shirt with fly front which has been elongated to an awkward length and a pair white jeans with clear plastic inserts. You could say that these basics are not so basic. and I'm in love with your shoes! prachtig! En wat een geweldige schoenen! The length of the shirt makes it all more interesting! i have the same shirt, love it! :) have to try that diy!! Wow, this is superb. Love the crisp white look and edgy factor. Got my eye on your next posts. Wauw! Minimalism to the next level.. love it! Love that shirt on you. And those shoes are perfection. those jeans are amazing! so jealous of those shoes aswell! such a pretty shoes, think I'm in love! that shirt looks so good pushed open slightly, amazing outfit! still love those absolutely genius jeans! I love how crisp this whole look. I love white on white. Such a crisp and chic all white ensemble! I like the outfit, but I think the shirt might be a dress? The shoes are amazing! Perfect outfit. ok, that shirt is a dream. specially when you have tucked only one side away. perfect. The earrings and shirt are perfect! So cool! 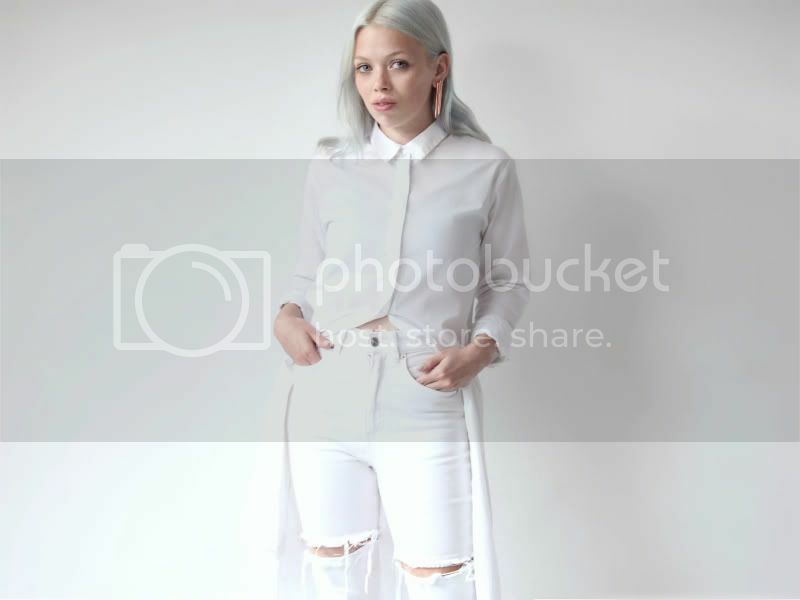 I love the total white of your pictures! God you make basics look so incredible! I am always stunned Everytime I visit your blog. i really love this outfit. very inspirational!! LOVE those shoes! Your earrings also look really pretty with all the white! I love you blog! and you style! is amazing!! You always look so good! Love your outfit and blog, so inspirational, just being yourself! 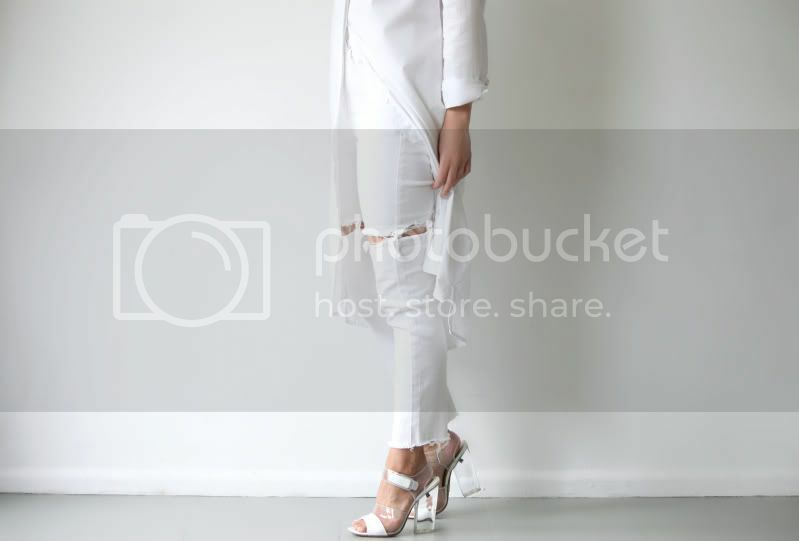 I love the whole "all white" style, although admittingly, I totally wouldn't had been able to step outside without falling over in a puddle of mud or something, that's just my luck, haha. you always look so good in white! I need to get that shirt like now!!! Why are you so damn gorgeous! I LOVE your DIY jeans, i wanna do my own pair! You inspire me so much! i am so desperate to have a go at DIY-ing some jeans like this. amazing styling as always ivania! I seriously love your style its so brilliant and clean. And I really want those Prada sandals! amazing outfit. white looks really good on you! huge love for this outfit! You in all your white glory. Will never get sick of this.